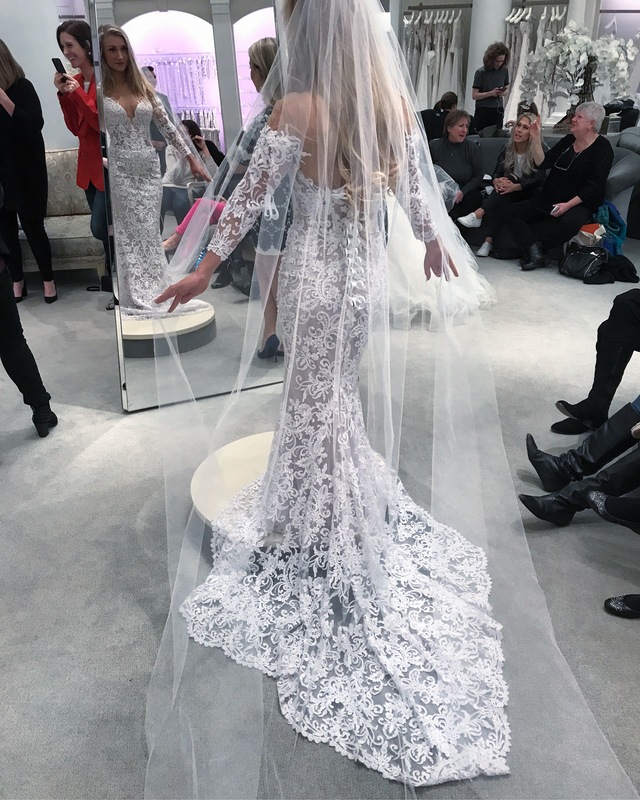 This is a BRAND NEW/NEVER WORN beautiful lace gown by Pnina Tornai that I just recently purchased from Kleinfeld this past January. It is perfect for the bride that is chosing a Modern Romantic or Extravagant and Elegant theme for her wedding! 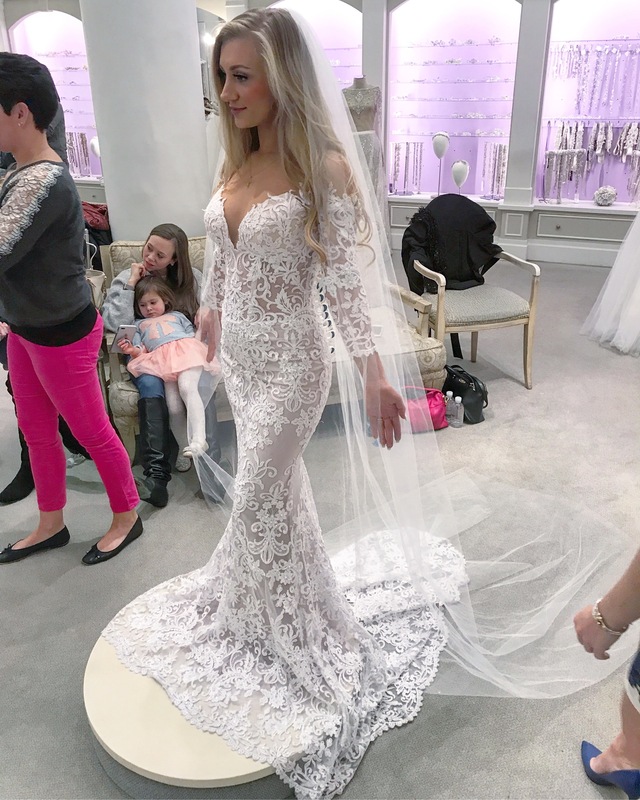 You will feel like an absolute princess in this embroidered Duchesse Lace illusion sheath gown. It is frosted in delecate tiny pearl-like beads that give it just a touch of shine and glam! The mesh material blends incredibly well to many skintones (you can&#39;t tell from the photo because it blends so well, but it is all around my chest, shoulders and back which will provide all your beautiful femenine curves/angles just the right fit). INCLUDES FREE EXTRA MESH FOR ALTERING SLEEVES/BACK/CHEST- I have 1.5 yards of extra mesh for which I paid an additional $550. I was originally going to have my seamstress use them to elongate the sleeves. It will be FREE to you! !